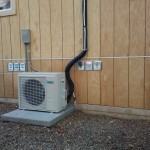 At Ductless Warehouse we sell a variety of ductless, mini split heat pumps. All of them offer excellent energy efficiency, quiet operation, and the ability to provide highly comfortable heating and cooling for year round comfort. The Daikin Quaternity, ductless, mini split heat pump, however, has a list of impressive features that set it apart from anything else on the market. An impressive efficiency rating, flash streamer air filtration, and comfortable heating all the way down to -4 degrees Fahrenheit put this system in a class by itself. Thanks to their energy efficient inverter design the ductless mini split systems we sell at Ductless Warehouse have high efficiency (SEER) ratings. Ranging from about 15 to 24 SEER. Which translates to an operating cost of literally pennies a day. The Daikin Quaternity, though, offers an even higher SEER rating of 26.1. The highest efficiency of any mini split on the market. In ordinary terms, the unit consumes less power than the average toaster. Ductless, mini splits, are cleaner and healthier than traditional central air systems since they have no ducting. 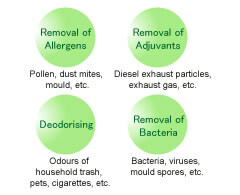 In addition most models have extra air filtration as well that goes a long way toward removing dust and particles from the air. The Daikin Quaternity system however features exclusive FLASH STREAMER TECHNOLOGY. An industry first- Daikin’s Flash streamer air purifying function removes both allergens and pollutants and microorganisms from the air you breath. Quaternity uses a multi-stage filtration and air cleaning system which incorporates the”Flash Streamer” to break down and decompose the microorganisms in a timely manner. Quaternity Offers Heating All They Way Down To -4 degrees Fahrenheit. Some ductless, mini split heat pumps on the market have trouble making heat when outdoor temperatures get too low. All Daikin systems are able to offer heat down to very low ambient temperatures, but once again Quaternity succeeds even further. The Daikin Quaternity system can provide comfortable heat even when temperatures reach -4 degrees Fahrenheit outside. With its outstanding SEER rating, unparalleled air fitration, and ability to provide energy efficient heat even at sub zero temperatures, Quaternity offers a list of benefits no other system can match.